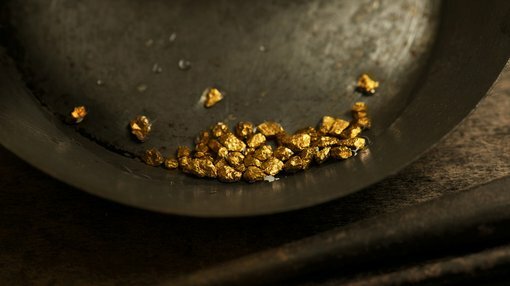 Segue Resources (ASX:SEG) is turning its gaze at Plumridge west in the hopes of joining the current buzz being generated by gold. It told its shareholders in a note today that it would explore three tenements it has immediately to the west of its Plumridge Nickel joint venture in the Fraser Range, Western Australia. The three exploration licenses have been explored before, most notably to the northern section of the ‘Harris Lake Shear Zone’. The northern end of the HLSZ features the Corvette, Stingray, Mustang, and Camaro gold prospects. Gold hits previously drilled included 4m @ 32 g/t, 13m @ 6.7g/t, and 4.5m @ 10.2g/t. The southern edge of the HLS, however, has undergone little exploration. The southern edge is thought to be overlain by a post-mineral formation up to 30m thick, making shallow holes drilled there in the past “of little exploration value”. Of the 19,200 holes drilled at the HLSZ to date, less than 5% targeted the southern edge of the feature. SEG has reprocessed historic magnetic data and incorporated recently acquired gravity survey data – and it thinks the Southern HLSZ is worth following up on. It said it would start a 3800m aircore drilling campaign in the middle of this month – with results due back mid-August. There is no guarantee that the drilling campaign will bring up gold, so it’s best not to base any investment decision upon this assumption. Aside from lithium tenements in the Gascoyne region, SEG’s other major play is the Plumridge nickel project, immediately to the east of the gold tenements. 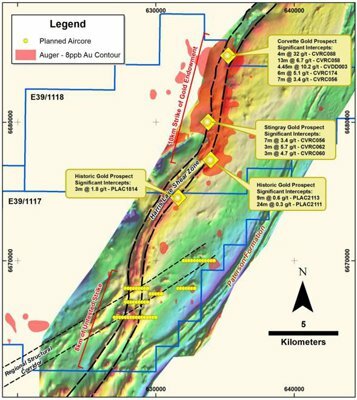 The Plumridge Project is a collection of eight exploration licenses covering 2250 sq.km in the Fraser Range, and is just 150km north-west of the Nova and Bollinger nickel discoveries which famously put Sirrius Resources shares on a tear. Prior to the joint venture forming in September last year, Segue had completed several surveys over the project area. This included its most substantial work, a gravity survey, was over the past year, with work extended to include aeromagnetic surveys, 3D mapping and soil geochemistry analysis. It is currently in joint venture at the project with dual-listed MMG Limited.